As part of our preparations for retired life (not quite there yet!) 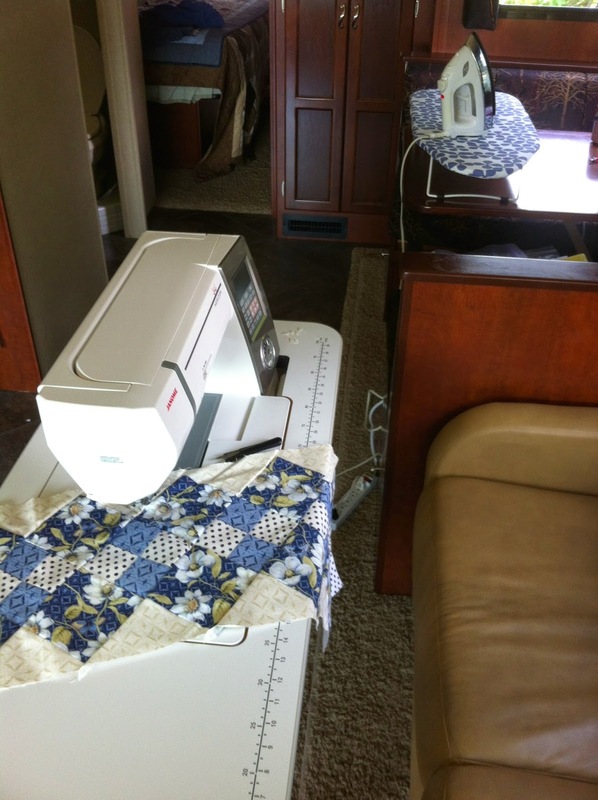 we purchased an RV last year and this year I've been working on setting up so I can continue my sewing while we are away from home. 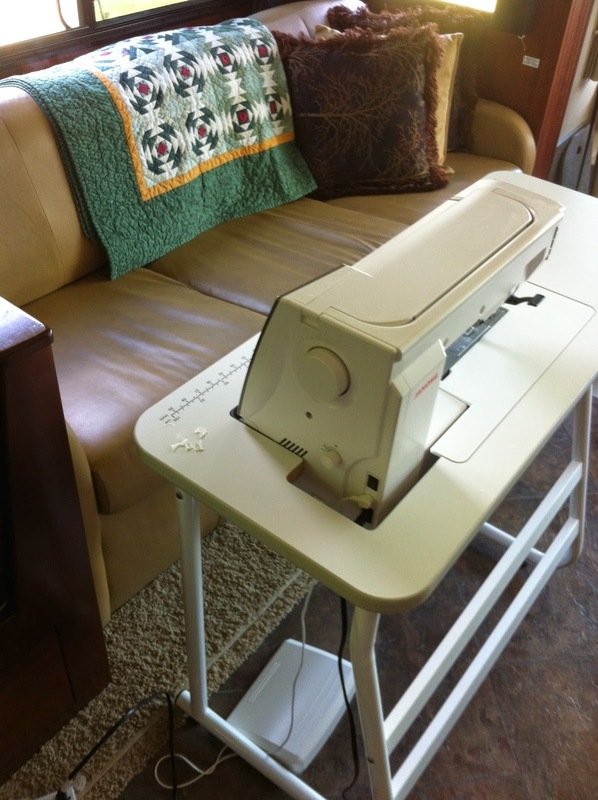 My Janome sewing machine came with a table that doesn't take up much room and because I already have a great sewing table in the house, it has a place in the home on wheels! On one of our summer "camping" trips, I had the opportunity to try it out. I only forgot to add a good chair, so it was a bit uncomfortable sitting on the couch and sewing, but when I got stiff and sore, I could just get up and take a walk outside in the beautiful scenery! 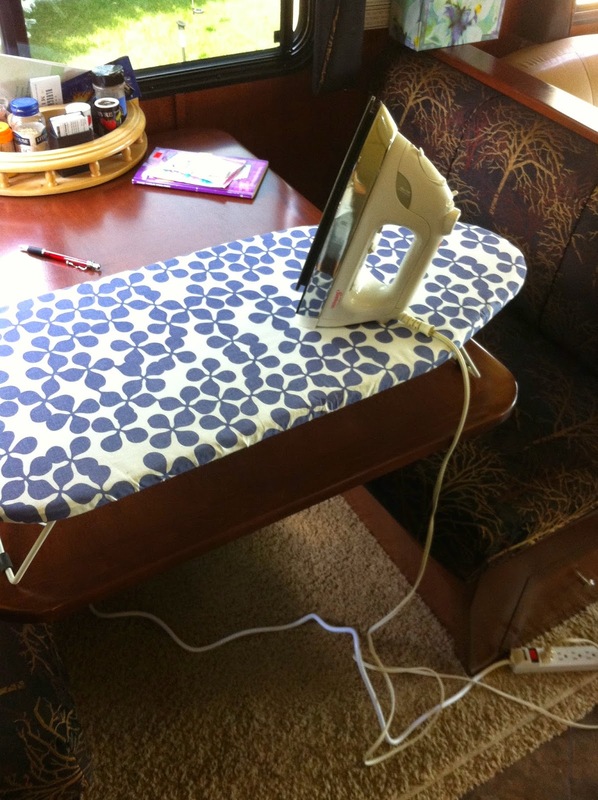 The ironing board fits great on the dinette. I don't put water in my iron so that I can leave it in the RV all winter without worrying about whether or not the residual water will freeze and cause leaks. So, if I think I'll have time to sew when we are away, all I need is my sewing machine and my projects - and I'll show you how I prep for that another time!